Britian's cash-straped consumers have swapped boutiques for bargains, according to latest figures from the Charity Retail Association. Over the past financial year, the sector turned over £1bn, up 3.4% year-on-year. 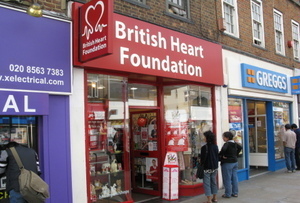 The results support high street 'guru' Mary Portas' theory that the UK is heading for a high street packed with Cancer Research shops and British Heart Foundation jumble stores. According to recent retail figures, 14 high street retail outlets close every day, yet charity shops are calling for more donations to meet rising demand.